Missing Link images are © Annapurna Pictures. All Rights Reserved. Laika Studio was founded in 2005 and for the past ten years they have been thrilling audiences with their stop motion animation feature film. With their first feature, Coraline, they received an academy award nomination and doubled their sixty million dollar budget. ParaNorman, their second movie, also garnered an Oscar nomination and critical acclaim. Their third and fourth features, The Boxtrolls and Kubo and the Two Strings continued the trend of Oscar nominations and were successful monetarily. For their latest release, coming to theaters this month, they take on a mythical creature – the ever-elusive Sasquatch (Zach Galifianakis; The Hangover series). Missing Link makes a large hairy monster seem like a cute, cuddly teddy bear. Sir Lionel Frost (Hugh Jackman; The Greatest Showman) is a great adventurer always searching for the creatures that elude society. He desperately seeks something else that eludes him – membership in the exclusive explorers club. When he receives a mysterious letter about the existence of Sasquatch he challenges Lord Piggot-Dinceb (Stephen Fry; V for Vendetta) to a bet that if he can find the beast he will gain admittance into the society. 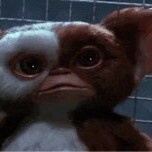 He then sets off for the North West part of the United States looking for the creature. When he gets to the American woods, he finds the one who sent him the letter – The Sasquatch himself. Frost finds out the beast not only speaks but that he can write as well and he asked Frost to find him so he can help locate his "cousins"…the Yetis. The two then meet up with Adelina Fortnight (Zoe Saldana; Guardians of the Galaxy) to get the map for the location of the secret Shangri La – home of the Yetis. Of course, on their journey, they become friends and when they find their destination, it isn't what they expected. Complicating matters Piggot-Ducenby hires a bounty hunter, Stenk (Timothy Olyphant; Justified) to stop them at all costs. Written and directed by Chris Butler (ParaNorman), Missing Link is a heartwarming story that is aesthetically beautiful and meticulously designed. The cast is excellent and Jackman gives Frost an air of sophistication while he plots ridiculous adventures. Galifianakis lends his unique humor to an adorable overgrown beast, which results in some funny moments and the two actors together play off each other well. Saldana brings warmth to her voice that melts even the coldest of hearts. The supporting cast including Olyphant, Fry, Matt Lucas (Alice in Wonderland) and Emma Thompson (Love Actually) are terrific as well. Anyone who knows the work of Laika Studios knows the time, care and energy they put into their productions and Missing Link is no different. There is a reason their films are always nominated for best-animated feature Academy awards. The details are so intricate and exacting in each person, creature, and object they create that the craftsmanship is second to none. From the fur on Link/Susan (The name the Sasquatch gives himself) to the artifacts in Frost's home or the ice bridge, everything is painstakingly detailed and nothing is overlooked. They once again have maintained the level of excellence we have come to expect from Laika. With common themes and a sweet story, Missing Link will capture audiences' of all ages hearts. It entertains, makes one think and ponder life but never loses sight of the joyous things in life. The colors are deep and rich and the stop motion animation is incredible. The cast is made up of veterans who are at the top of their game, which only enhances the overall production. 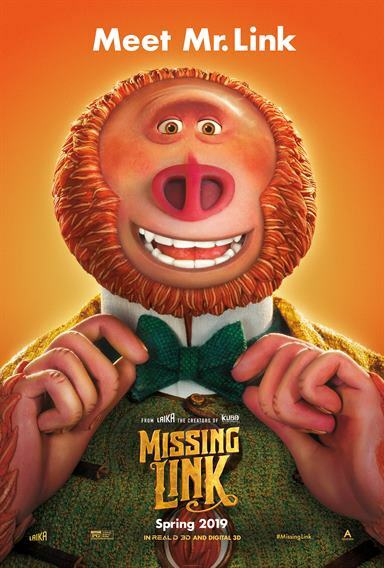 Take the kids, take the parents, take everyone you know but whatever you do, don't miss Missing Link! Early Saturday morning screening. Should be a good time.